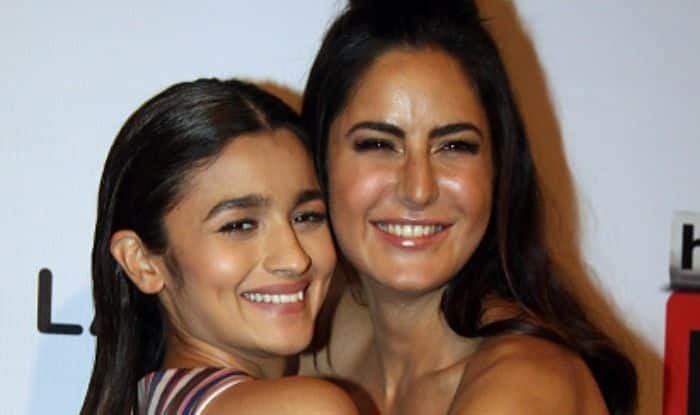 Katrina Kaif praised her close friend Alia Bhatt aka Alu's dance in the 'Ghar More Pardesiya' from Kalank. One of Bollywood’s most versatile actor Alia Bhatt is all set to release her next film Kalank and the makers dropped the first song of the film ‘Ghar More Pardesiya’ earlier today. The song features Alia and Madhuri Dixit Nene. While we have already seen Madhuri’s jaw-dropping classical dance performances in films like Devdas, Dil Toh Pagal Hai, Aaja Nachle among others but this is for the first time Alia is seen flaunting her Kathak skills. Recently, Alia’s friend Katrina Kaif watched the video and was all praises for her. Alia, took to her Instagram to share a small part of the video where she is seen dancing. 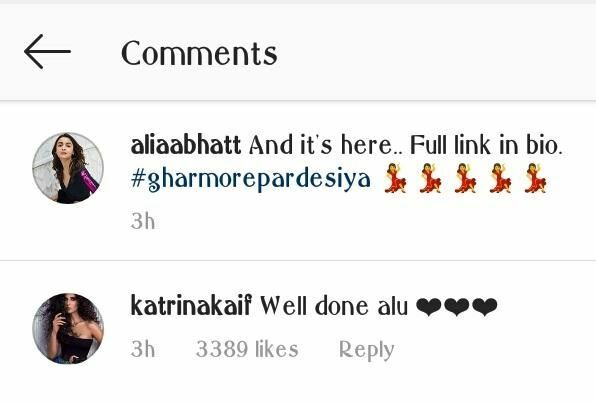 Katrina left a comment which read, “Well Done Alu..” A few days ago, Katrina had even wished Alia on her birthday and revealed that Alia’s pet name is ‘Alu’. The Raazi actor keeps proving with every film of hers that she can make the most out of any role given to her. Not just with acting, but dance as well. Alia had learned Kathak for this song. In the film, she will be seen playing the role of a royal woman. The film also stars Varun Dhawan who will be seen playing the role of a blacksmith. Madhuri, who did not perform much in ‘Ghar More Pardesiya’ will be performing in another one where she will be featuring alone. There is another song in the film which will feature Madhuri and Sanjay Dutt. Sanjay will be seen playing the role of Balraj Chaudhary and it is after 21 years that the two actors will be seen reuniting on Silver Screen. Produced by Karan Johar’s Dharma Productions and Sajid Nadiadwala’s Nadiadwala Grandson Entertainment, Kalank is slated to hit the screens on April 17.